I was in the Talpiot neighborhood in Jerusalem, and I wanted to find a quiet place with a strong internet connection to get some work done. A bite to eat would be nice as well as it was close to dinner time and I was hungry. Someone suggested Harutzim Bistro. Boy, were they right! The place was perfect for my needs--quiet, strong internet, and delicious dairy food. But, I got more than I bargained for. 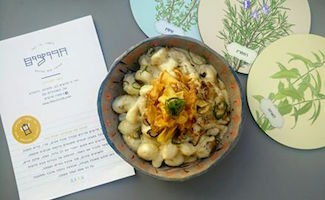 Harutzim Bistro is a café that is changing the way people think and act. 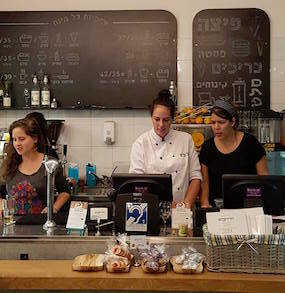 The Harutzim Bistro is a project of the SHEKEL organization. 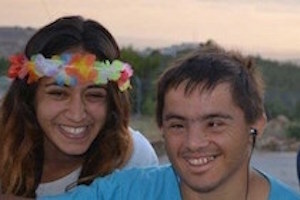 SHEKEL-Community Services for People with Special Needs is Israel's leading organization for integrating people with special needs into the community and helping them become a contributing part of the Israeli workforce. 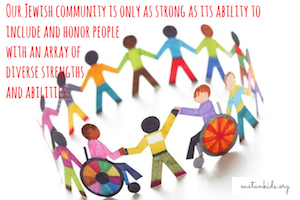 SHEKEL was founded in 1979 to prepare people with disabilities to integrate naturally into the community while to enjoying a high quality of life. 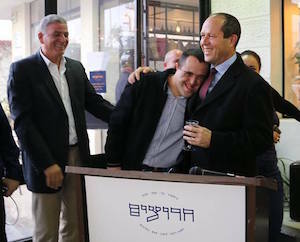 Jerusalem Mayor, Nir Barkat, attends the opening of the Bistro Harutzim special-needs café. 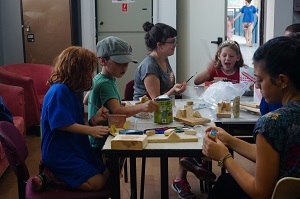 In addition to the café, the building includes SHEKEL’s crafts and gift shop and facilities to host several workshops, all at the same location. The Harutzim Bistro employs and trains people with disabilities in all areas of restaurant work, giving them a future that can make Israeli society proud. The combination of great food and added social value, together with its calm and clean ambience, made Harutzim the perfect spot for me to work. My waitress recommended their veggie pizza, which included all kinds of interesting and unique combinations. The staff were attentive, pleasant, and knew just how to make sure this customer will come back soon. Next time you are in Jerusalem, stop by 11 Yad Harutzim Street in the Talpiot neighborhood for great food and an even better atmosphere. Judi Felber is a creative writer, editor, educator and development expert who made Aliyah with her family in 2006 at the start of the Second Lebanon War. Combining her strong communication and critical thinking skills with a deep love of Israel, Judi is a Communications Coordinator at Israel Forever. SHOW YOUR ISRAELLOVE AND CONNECT WITH INCLUSIVE ISRAEL! Interested in getting your community, organization or school involved? Contact us today! Judi Felber is a creative writer, editor, educator and development expert who made Aliyah with her family in 2006 at the start of the Second Lebanon War. Combining her strong communication and critical thinking skills with a deep love of Israel, Judi is the Communications Coordinator at Israel Forever.